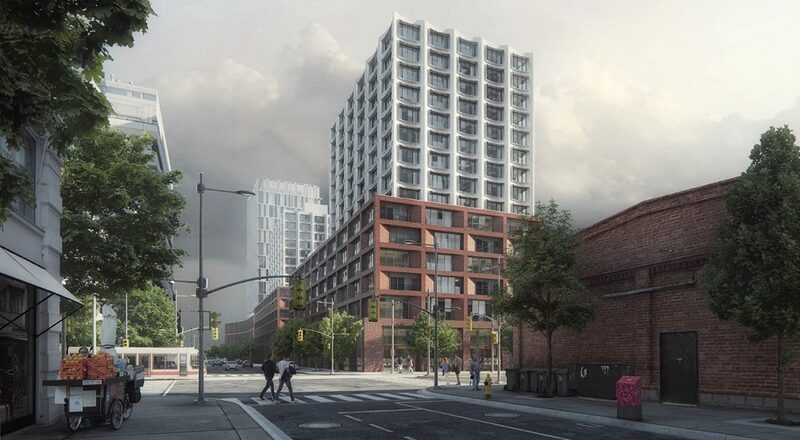 In the post-industrial Downtown East section of Toronto, Ontario, Canada, a partnership comprising Dream Unlimited, Kilmer Van Nostrand Co. Limited and Tricon Capital Group has commissioned Danish architects COBE to help revitalize the area with a large-scale, mixed-use redevelopment. It is being designed in collaboration with architectsAlliance. The project is being designed to achieve LEED Gold certification. Consisting of three buildings, two of which COBE has designed, the project contains 761 market rental apartment units including 30 percent affordable rental units which are indistinguishable from the market rate units in their design. Located in a former industrial area, called the West Don Lands, the site is an intersection of three distinct neighbourhoods. The project stacks the architectural components from the three neighborhoods: townhouses, warehouses and silos, creating a complex that both adapts to its surroundings and contributes by adding new distinctive, robust architecture. The project provides all residents with a generous apartment, flooded with light through floor-to-ceiling windows and access to attractive amenity spaces. All in all, the project is expected to encourage more public life and a sense of community among the residents and the local community. “We want to create attractive homes that appeal to many different types of people. 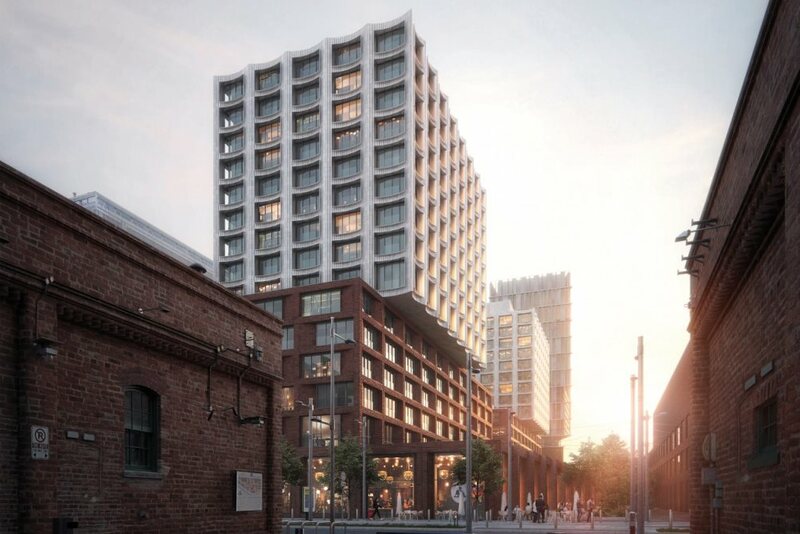 We have been working alongside the client team to develop a concept of radical mixed use that provides all residents with a generous apartment, flooded with light through floor-to-ceiling windows, and access to attractive amenity spaces,” says architect Dan Stubbergaard, founder of COBE. Groundbreaking takes place mid-2019, and completion is scheduled for early 2022. The project is one of four COBE is currently undertaking in North America. All images courtesy of COBE.